For a post-wedding dance party in a raw, historic industrial space with a somewhat gritty vibe, I designed centerpieces using very few florals – but instead lots of glow and reflection. 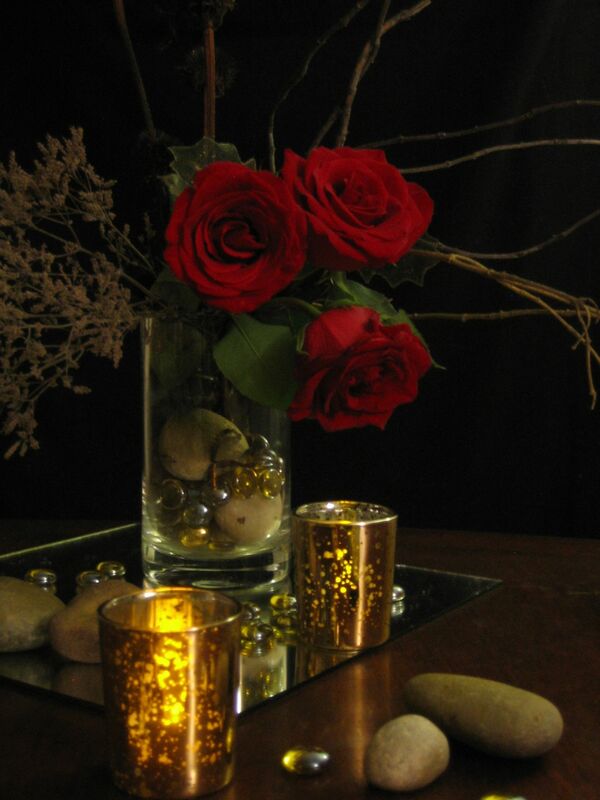 I picked up the industrial history of the space with mirror bases and polished rocks (sprayed antique gold) and arranged dried branches and pods (some of them also discreetly gilded) together with grouped black/velvety-red roses. 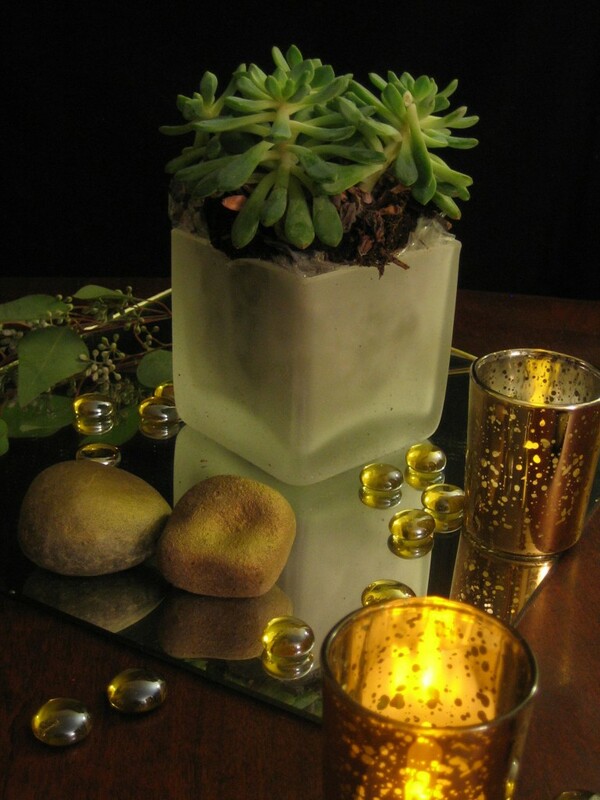 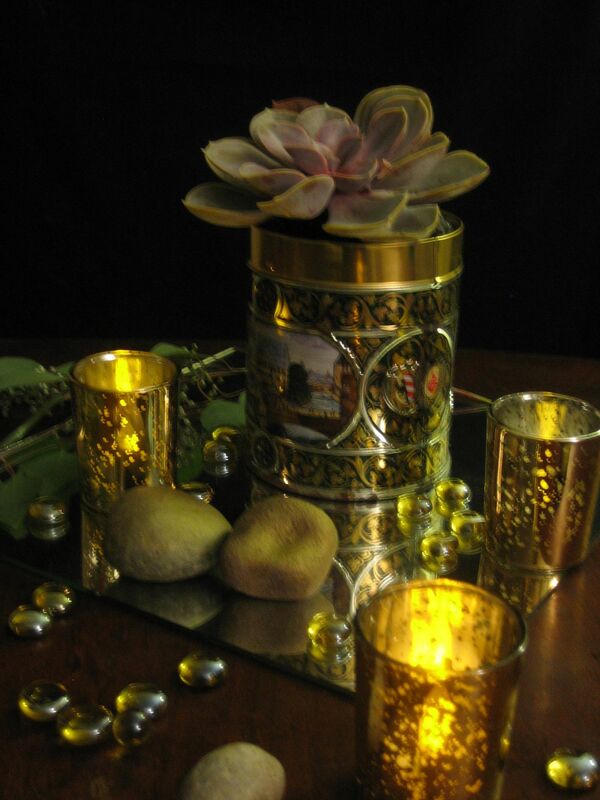 Antique-gold hurricanes and amber gems scattered on the mirrored bases lent extra reflection. 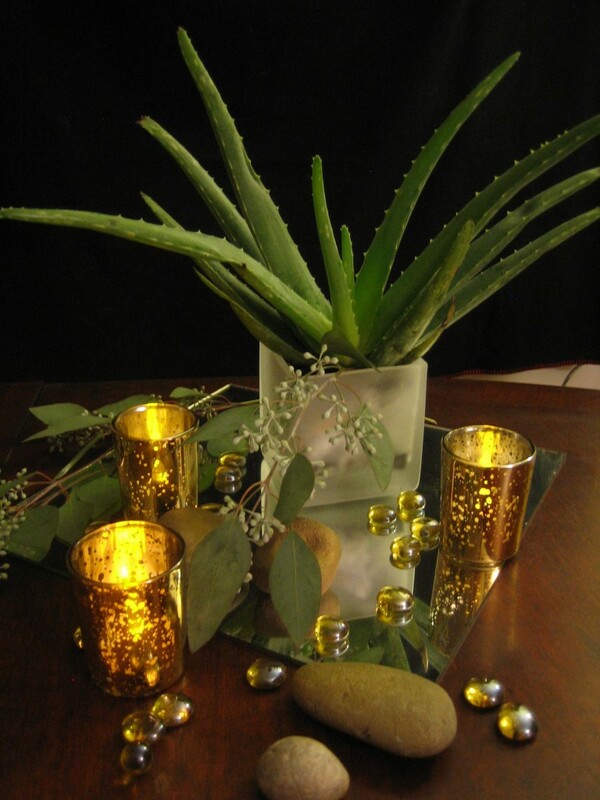 The overall effect was one of intimate, golden light and retro-raw décor in the dimly lit dance hall – perfect!